New Delhi : While the whole country was in deep sleep, Indian scientists lifted off its heaviest and most advanced communication satellite, GSAT-11. The satellite was launched successfully to space from a European spaceport in faraway South America. The launch has been made with the aim to enable much faster Internet services than now to users down home over the next 15 years. 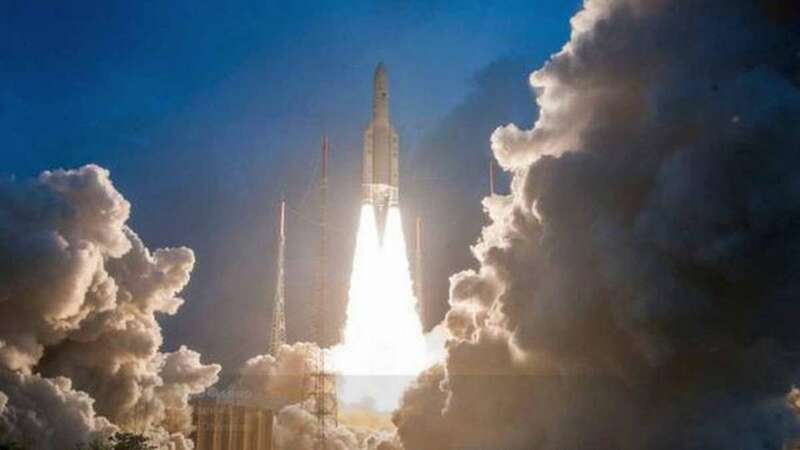 GSAT-11 that weighs about 5,854 kg was launched from the Guiana Space Centre at Kourou in French Guiana at 2.07 a.m. IST on Wednesday, December 5. The large high-throughput satellite (HTS), along with two smaller HTS satellites GSAT-19 and GSAT-29, blasted off earlier will offer effective satellite-based broadband services in remote, hitherto uncovered rural areas of the country. Also, a few more upcoming HTS fleet will also innovatively enable the use of the superior and efficient Ka frequency band. The lift off of GSAT-11 and a South Korean co-passenger satellite on European pace vehicle Ariane 5 VA246 gave a spectacular view to people who were awake and also to the Chairman of Indian Space Research Organisation K. Sivan. In his post-launch remarks Dr. Sivan said: "It will meet most of the requirements of providing broadband connectivity to rural and inaccessible village panchayats under BharatNet which is part of the Digital India initiative." Also, P. Kunhikrishnan, Director of the U.R.Rao Satellite Centre in Bengaluru which built the satellite; GSAT-11 Mission Director P.K. Gupta and many ISRO engineers were present at the space port were the launch took place.